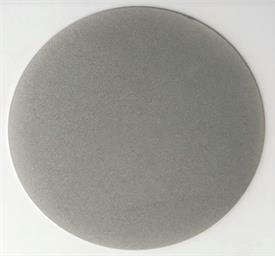 Clay Planet Ceramic Supplies, Pottery Supplies & O > Tools > Chinese Clay Art Tools > Diamond Grinding Disc - 12"
Glue diamond grinding disc for ceramics to a bat, or use on top of a bat grabber and smooth the bottoms of your pots with this inexpensive diamond impregnated metal disc. Use water to keep the surface lubricated while grinding. Hold the item you are grinding down on the disc with only light pressure. Let the diamonds to the work for you. You can hold the item in the center or move around the surface for easier use. Works great on any bat. Just select a bat which the bat pins DO NOT stick out above the bat. Dry the disc when not in use. SELECT 60 Grit, 120 Grit or 180 Grit above.